With impressive economic growth rates and increased influence in the global economy, Asia’s human capital is one its greatest assets. Active in Asia since the early 1990s, Creative works with local partners to introduce evidence-based solutions that recognize that sustained development and prosperity across the diverse region requires equitable and quality education systems and greater access to economic opportunities. From Kyrgyzstan to Cambodia and India to Timor-Leste, Creative has supported successful efforts to improve classroom curriculums, elevate teacher training, promote access to education and stem school dropout. Creative is a leader in education assessment, supporting governments to identify challenges and design sustainable and systemic solutions. Recognizing the importance of skill-based education and livelihoods, Creative has also assessed technical and vocational education and training needs and worked with marginalized communities to boost entrepreneurship and connections to larger value chains to grow incomes. In-depth project stories. Click to view. Get an up close look at our innovative projects. Click to view. After completing training with Afghanistan Workforce Development Program, employees of Reliance Power Co. in Kabul gained skills that increased their job performance and ultimately improved the company. Based on their work, the employees received pay raises. Learn more. In weaving centers, women who hand-make traditional carpets have a chance to leave the isolation of their homes and work together. With support from the USAID Afghanistan Workforce Development Program, the organization behind these centers is serving more women than ever. Learn more. 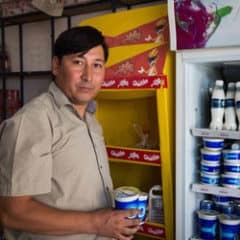 Through USAID's Afghanistan Workforce Development Program, a cooperative-run dairy near Mazar e-Sharif learned essential project management, marketing and production skills that increased output and sales. 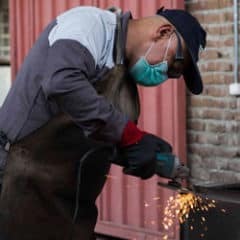 The Afghanistan Workforce Development Program is increasing job placements and wages by improving access to quality technical and business training, as well as job placement support services. Learn more. 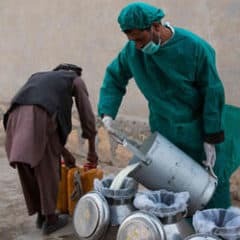 In Afghanistan, a small dairy is on the path toward increased production and more business. With help from USAID's Afghanistan Workforce Development Program, employees underwent training in key areas that helped them take the company to the next level. Learn more. 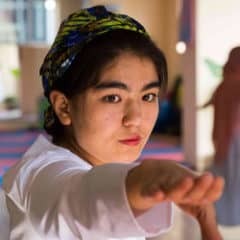 Fakhria Mumtaz opened Kabul's first all-women yoga studio. Now, her startup is expanding with help from USAID's Afghanistan Workforce Development Program, which connected her to business training. Learn more. 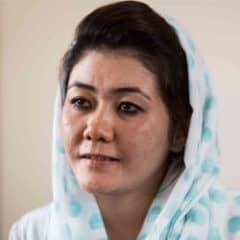 Through her training with the Afghanistan Workforce Development Program, Sadia Abbassy gained new skills that helped her company and earned her a promotion. The program is improving professional advancement, job placements and wages through training and support to thousands of other Afghan professionals like Abbassy. Learn more. In rural Tajikistan, there is pressure for older children to stay at home to help their families. The Student Motivation Learning Program engages community and religious leaders to raise awareness about the need to stay in school, spreading the message that education is a shared responsibility. Learn more. In Tajikistan, students are most likely to leave school after the 9th grade. To reverse that trend, the USAID Student Motivation Learning Program introduced an after-school Tutoring Program that makes learning fun and school a more desirable place to be. Learn more. Iskander was cutting class to hang out with his friends. His parents had no idea—that is, until the school adopted an Early Warning System to help monitor attendance, behavior and course performance. Learn more. The teachers knew their job was to instruct. But there was so much more they could be doing for their poor students in rural India. Through the USAID School Dropout Prevent Pilot, teachers learned how to assess student progress, identify at-risk youth and create a more engaging learning atmosphere. Learn more. Educators were having trouble connecting with families of students who are at-risk of leaving school. To bridge the gap, the USAID School Dropout Prevention Pilot created “community champions.” Learn more. How do you entice children to come to school? Make learning fun. That was the principle underlining the USAID School Dropout Prevention Pilot’s Enrichment Program. Learn more. In India’s poorest state of Bihar, too many children were missing too many days of school. Through the USAID School Dropout Prevention Pilot, an Early Warning System was developed to help teachers identify students who were at-risk, and strategize with families to get them back in the classroom. Learn more. School-aged children have a lot of competition for their attention and too often the classroom has been on the losing end. The USAID School Dropout Prevention Pilot examined the home lives of at-risk students and works with educators and parents to devise solutions to keep children in school. Learn more. For too long, schools have relied too much on “chalk and talk,” which led some students to lose interest and eventually skip class. Through the USAID School Dropout Prevention Pilot, educators are offering fun and interactive extra-curricular activities that draw students to school. Learn more. Timor-Leste has placed an emphasis on education, though reaching its goals is a challenge when too many children dropout. The USAID School Dropout Prevention Pilot developed an Early Warning System that alerts teachers, administrators and parents that a child is at-risk of not completing his/her studies. Learn more. Chronic absenteeism puts students at-risk of dropout. In Cambodia, educators and the government thought in-school computer labs would be a draw for students—and they were right. The USAID School Dropout Prevention Pilot’s computer labs program is a hit with students. Learn more.